Does unification with the Atman mean that Atman is one thing, and the JivAtman that fuses with it is another? No. No union or joining with the Atman is possible. Even this kind of little or minute duality is not permitted there. The merging, the fusing, the union -- all these are out of place here. What happens is, having ‘swallowed’ /’consumed’ the JIva that pines to unite, pines with love and anguish – in other words, having swallowed the antaH-karaNa (inner organ), It stands alone. So it is not a question of ‘anusandhAnaM’ of the Atman which is the Real Nature. 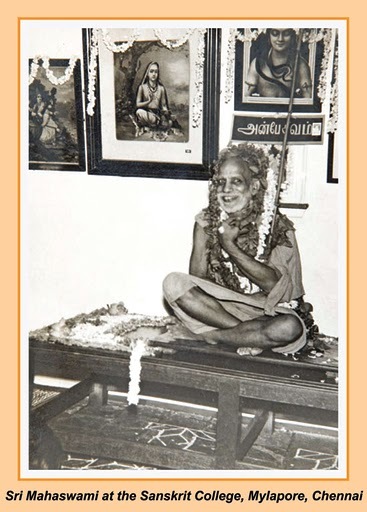 It has to be immersed in the constant memory of the Atman and the filling up of the chittam with that – this is what we should understand by ‘anusandhAnaM’.